Hey girls... How are you all doing? I was thinking to take a leave from blogging for few days, then canceled the idea, because I can't imagine my day without my blog and social media.. Hence made a cup of coffee and sitting at my balcony to write a fresh new post... Few days before I got a Eau De Toilette from Oriflame and thought to write about this only.. 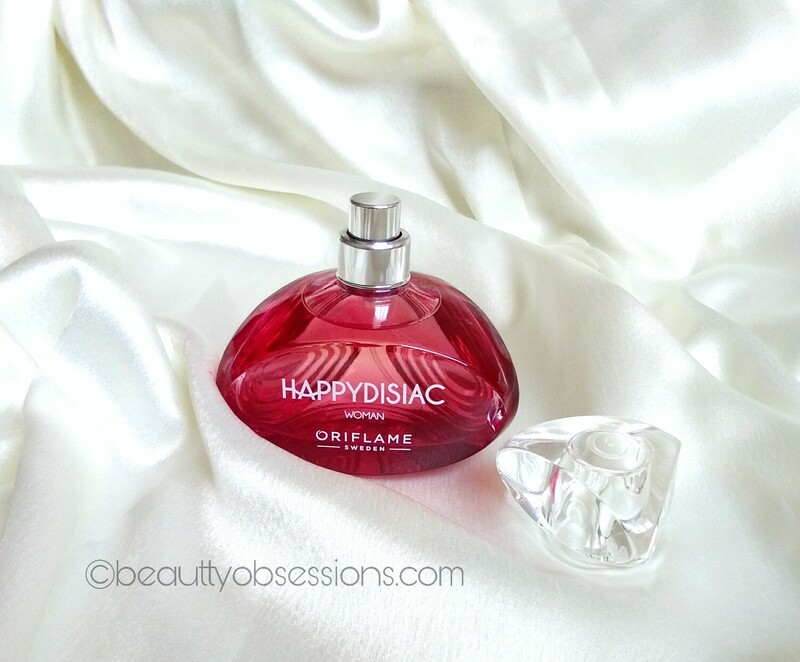 So today's review is on Oriflame Happy Disiac Eau De Toilette for Women.. Earlier I was not fond of perfumes and I was a complete deodorant person .. But now I have discovered my love and affection towards perfumes.. You can also read my view on All good scents Eau De Toilette HERE..
PRICE - Rs1700/- for 50ml. PACKAGING - The packaging is really cute and girly kind.. I just love this tiny red glass bottle, actually the bottle is pink-ish red with a transparent cap. The bottle is triangular kind shape ,hence easy to hold and the lining in the bottle creates nice grip.. The spray nosal is of good quality and easy to spray as well.. 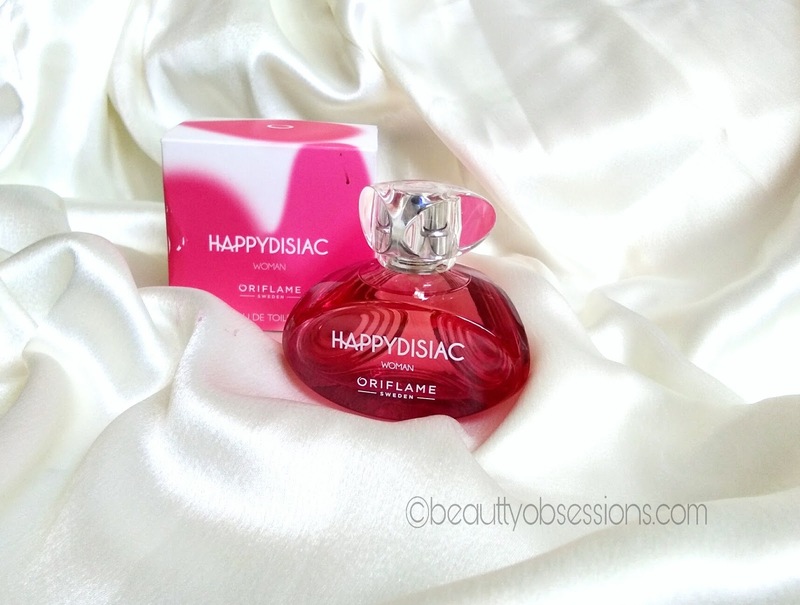 The perfume comes inside a cardboard box which has all information regarding the product.. 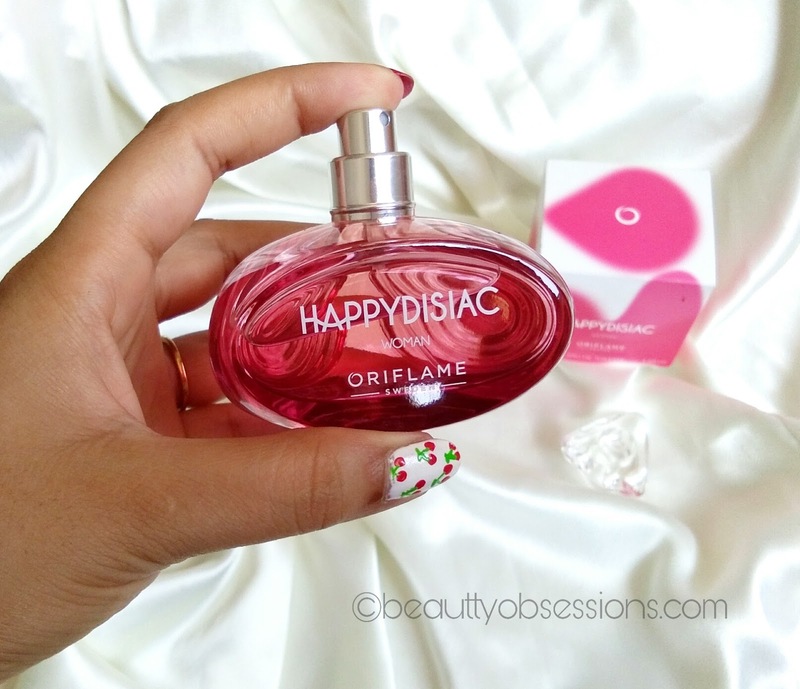 Overall the packaging is cute and love at first sight..
MY EXPERIENCE - Let me first tell you, I love this cute little red bottle of fragrance... The fragrance is not so strong nor so mild.. You can calculate this under the medium catagory.. 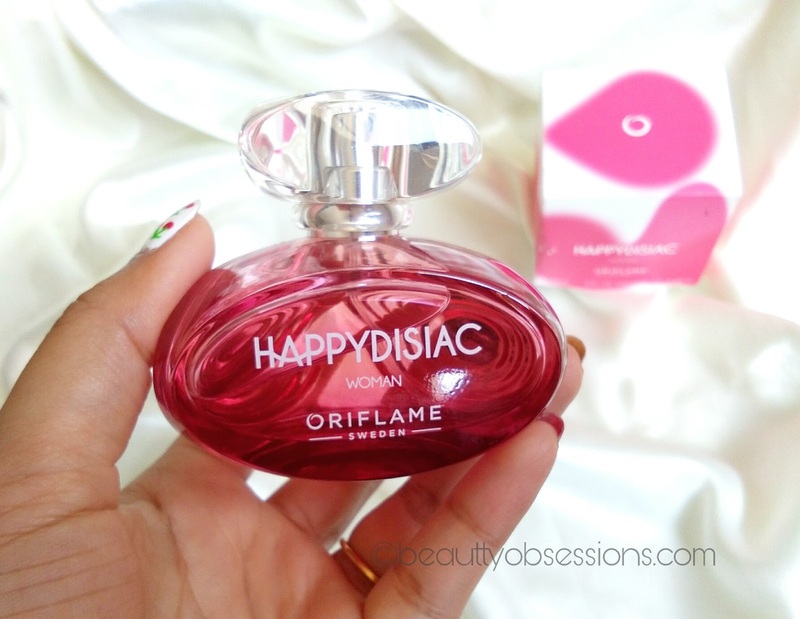 The first time I sprayed it, I can smell the fragrance of strawberry and citrus on the first note which is really refreshing and lift my mood up.. Then after sometime it settles into rosy-jasmine kind flowery fragrance which is again amazing. I love such floral fragrances but a little strong ones and luckily I found this happy disiac eau de toilette is falling on my preference catagory. The fragrance lasts for around 6-7 hours, Then fades away slowly.. The fragrance is skin friendly, I don't feel any irritation or burning sensation after applying it..
Hope you found this review helpful... See you in my next post.. bye.. It's going to be my next purchase in perfume. Thanks for sharing. Though I am not really a big fan of perfumes but it seems like a very good perfume . Yeah.. It is a really good one... Do try out..
Oh my my! Look at its packaging! Like fabulous. Fruity smell and I am on it!